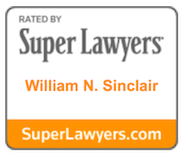 Bill Sinclair is the partner-in-charge of the firm’s Business Litigation Group. His practice covers white-collar criminal defense and complex civil litigation. He also handles select personal injury and transactional matters. Bill has tried jury and non-jury civil matters as both plaintiff’s and defense counsel, as well as criminal matters, in state and federal courts in the District of Columbia and Maryland. He has also argued before the United States Court of Appeals for the Fourth Circuit and the Maryland Court of Special Appeals, as well as in state and federal trial courts in California, Georgia, Minnesota, and New Jersey. Bill has defended corporations, individuals, and public agencies and utilities in toxic tort, environmental, and product liability cases; commercial and employment matters; land use, construction and other real estate disputes; and environmental, health care, and securities enforcement proceedings and investigations as well as other complex crimes. He has also served as plaintiff’s counsel in commercial and land use disputes, personal injury matters, and civil rights cases. Class actions constitute a significant part of Bill’s practice. He was co-lead plaintiff’s counsel in a federal class action against a local municipality that resulted in significant monetary and injunctive relief for his clients; in a concussion matter against the National Hockey League that resulted in a meaningful settlement for his clients; and drug use litigation against the National Football League. He has also served as local counsel in numerous class action matters. 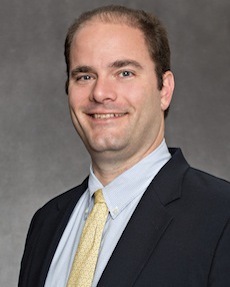 On the other side of the coin, he has served as co-lead defense counsel in a state putative class action product liability suit against a local utility and a series of putative and certified class actions in Maryland involving purported RESPA kickbacks that resulted in significant defense wins. He also served as co-lead defense counsel in a state class action matter involving landlord-tenant matters that resulted in a favorable settlement for his client. Bill has served as an adjunct professor at the University of Maryland School of Law since 2009. Prior to moving to Baltimore and joining STSW, he was an associate at Alston & Bird in Atlanta and Beveridge & Diamond in Washington, D.C.
Bill graduated from the University of Virginia School of Law, where he was a member of Omicron Delta Kappa, Editor-in-Chief of the Virginia Environmental Law Journal, and Head Commissioner of the North Grounds Softball League, and the University of California at San Diego, where he was Phi Beta Kappa and received Highest Honors in History. While in college, he was captain of the Men’s Division I Varsity Volleyball team and the recipient of several academic and athletic awards.